What would life be without chocolate? There are days when we crave something chocolaty, and days we feel a little peckish. Then there are times when we simply need something #EPIC to indulge in. But whatever our craving, desserts somehow always play a part in making everything great again. So, whether you’ve had a bad day, celebrating or simply feeling ‘blah’, just indulge a little! We’ve rounded up some of the best desserts – from guilt-free indulgences, to simply decadent and unique concoctions that you should add to your must-try list. Read on and drool at your own risk! Fruits in cakes or pastries are not a new thing, but we bet you’ve never had avocados in them! This is just genius because an avocado adds to the richness and creamy texture of desserts, has a subtle flavour, and it’s got a lot of health benefits. Win-win, right? You won’t feel guilty about having an extra slice of this! 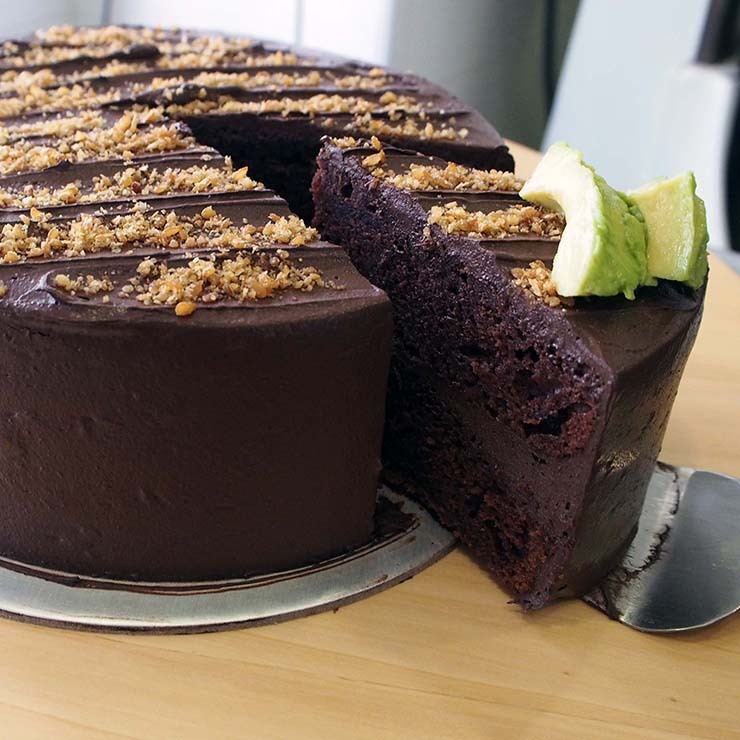 Who knew that avocado and chocolate would be a match made in chocolate-lovers’ paradise? We promise that each layer of this cake is blissfully chocolaty. You’ve got a luscious avocado-dark-chocolate-fudge layer speckled with chocolate chips, sandwiched between two fluffy avocado-cocoa sponge layers. A refreshing birthday cake choice, it’s the ultimate guilt-free luxury that’s both organic and diabetic-friendly. Guess what, it also comes in low Glycemic Index (GI), buttercream-free, non-diary, vegan or gluten free versions! Share the joy by buying a box for your family and colleagues. Attention, avocado lovers, get ready for a taste¬-explosion when you get a mouthful of this rich, creamy, guilt-free goodness. All That Batter has upped its game with these golden fluffy pillows. You will discover a generous filling of refreshing avocado custard bursting of the fruit’s subtly nutty flavours. Crispy on the outside, soft on the inside, these milk balls are baked fresh every day. Quick, grab a box before they run out! All The Batter is located at Anchorpoint. When you are feeling a little posh. Strawberries are like the unicorn of all fruits. Who can ever resist its red, plump goodness, especially when it smells oh-so-sweet? Strawberries blend in well with just about any dessert – it neutralises a dessert that’s too sweet and adds that ‘oomph’ in mild-tasting desserts. 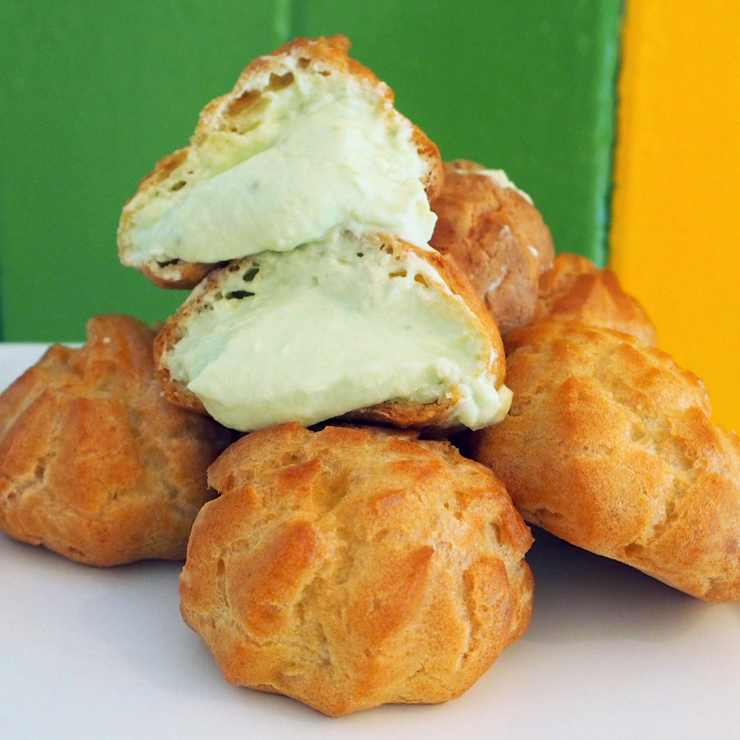 Not to mention, it gives a pop of colour, so it always makes a great dessert topper! Almost too pretty to eat! 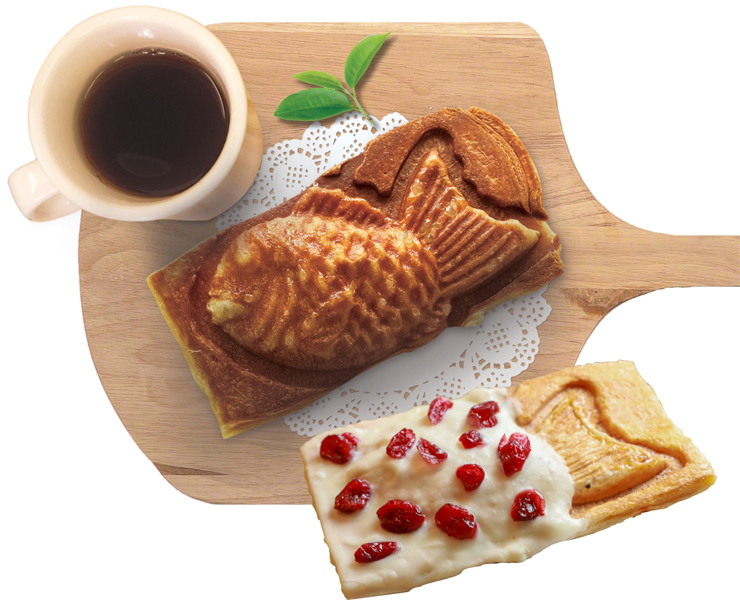 This delicate pastry is made with a meticulousness found only in the best Japanese patisseries. The star of this dessert is the Tochiotome strawberry, one of Japan’s most loved strawberry varieties flown all the way from Tochigi prefecture. 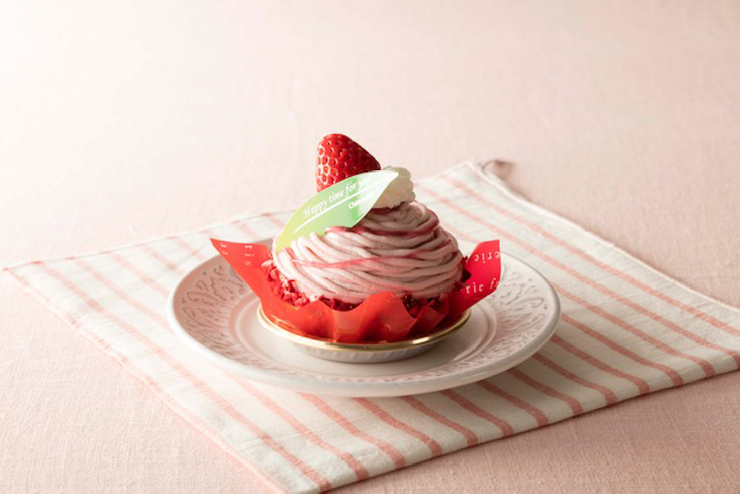 She sits daintily on a twirl of smooth strawberry milk cream made from fresh Hokkaido milk. Taste a small spoonful of cream and a delightful strawberry sweetness spreads slowly across your palate. Holding it all together is a light, fluffy sour-raspberry sponge and a buttery baked tart below it. Simply exquisite. Pair this with black coffee or tea. 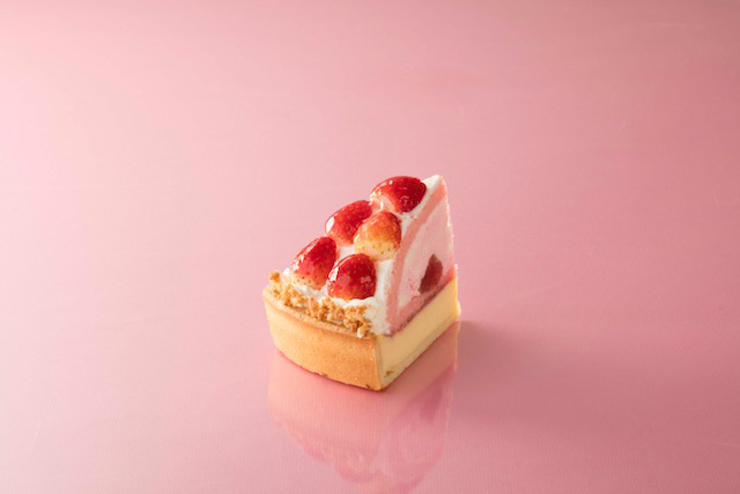 This strawberry cheese tart feels like everything we need for the ultimate tea-time pleasure. It’s a cross between a top notch Strawberry shortcake and a cheesecake. The base is a nutty almond tart with a nice crumbly texture, filled with a tangy cream cheese layer and a light strawberry Hokkaido cream. A final lovely coat of snow-white cream and juicy Tochiotome strawberries tops it off. Châteraisé is located at Causeway Point, Changi City Point, Northpoint City South Wing. Sometimes, you just want a whiff of a dessert and you’re good to go again. 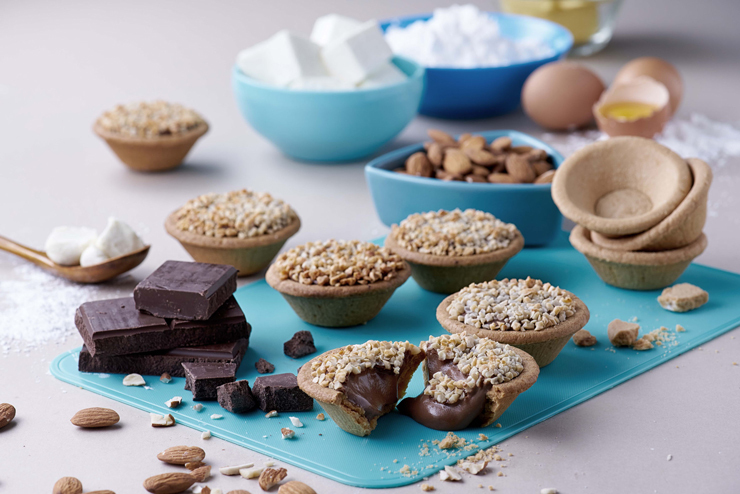 Try these bite-sized goodies in between meals to give you a little boost. It’s 3.45pm and an afternoon slump hits the office. Tai-Croissants are a great pick-me¬-up to lift everyone’s mood. They come in fascinating fish-imprinted pockets that hide all kinds of mouth-watering fillings inside. This creative snack has a pastry made of more than 80 layers of crispy crust and a glistening crystal sugar on the outside for an extra crisp finish. Oozing out of the pastry is a yummy filling, ranging from fragrant apple cinnamon and milky rich Hokkaido Custard, to hand-made Okinawa mochi filling. Simply scrumptious, whether you choose to have the hot or chilled croissant! Tai-Croissant is located at Causeway Point and The Centrepoint. Warning: these can be really addictive! Pop these little drops of heaven in your mouth and they instantly melt with chocolaty and creamy flavours. 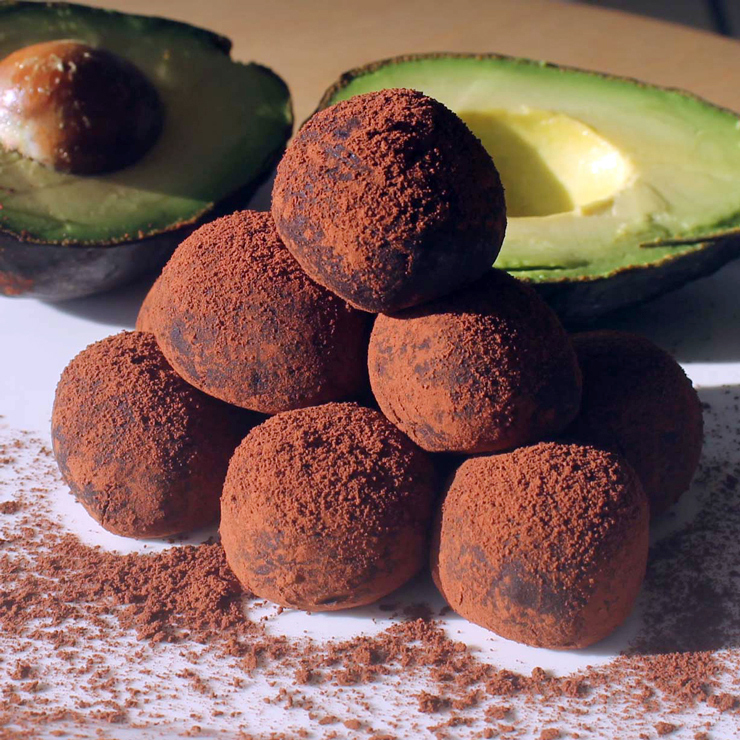 Each delicate truffle is made by hand with fresh avocado flesh and dark chocolate. We are talking about a dessert that’s high in antioxidants and contains zero preservatives. Enjoy these bite-sized babies with a cup of coffee for an energy boost! When you are craving Netflix and chocolate comfort. What makes chocolate the ultimate go-to, comfort dessert? Other than being rich and creamy, chocolate contains the same chemicals that your brain creates when you’re falling in love, making your brain release feel-good endorphins. Take it as nature’s gift of happiness to you. We’re cancelling all plans for our date with this divine chocolate treat. Oh yes, beautiful chocolate ice cream. This cup of handmade Italian style gelato is made with premium Belgian chocolate. It’s no wonder why every spoonful feels like a velvety hug. We think we just found our perfect stay-in plan for TGIF: couch, Netflix and Dark Chocolate Gelato. Who needs a date when you’ve got this in the fridge? 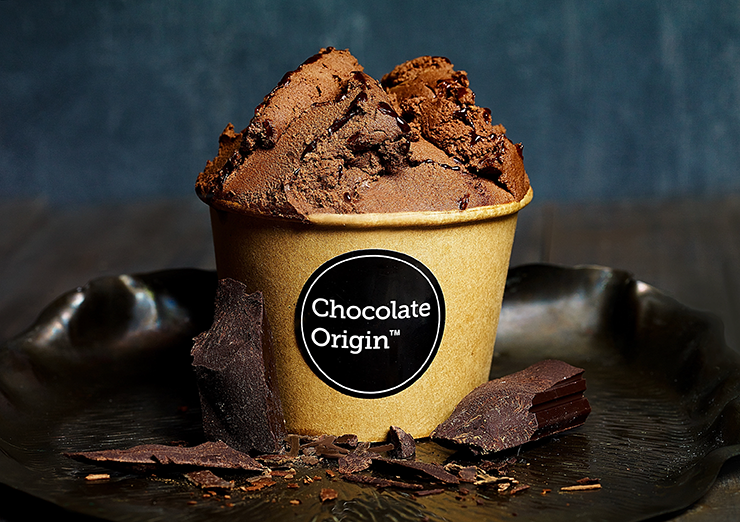 Chocolate Origin is located at Northpoint South Wing. Cheese tart and chocolate? What more can we ask for? It’s Netflix night. That means you need something comforting to tuck into. Almost like the ‘little black dress’ of desserts, chocolate is always a safe bet. Our favourite thing about these tarts is their impressive shortcrust pastry and gooey Hokkaido cheese centre. Topped with an extra layer of crunchy almond nibs, it gives a divine contrast to the silky-smooth and rich dark chocolate cream underneath. Hokkaido Baked Cheese Tart is located at Causeway Point, Changi City Point, Northpoint City North Wing. What’s a better excuse to extending a date than having that last course to wrap it up? Desserts are made to be savoured, and there’s a perfectly good reason behind it. So you can talk more and enjoy each other’s company! Every coffee aficionado’s dream come true. Win hearts with this soft, warm coffee sponge soaked through in deep, intense espresso ganache. A scoop of cold vanilla bean ice cream melting gracefully on top makes it a heavenly combination. 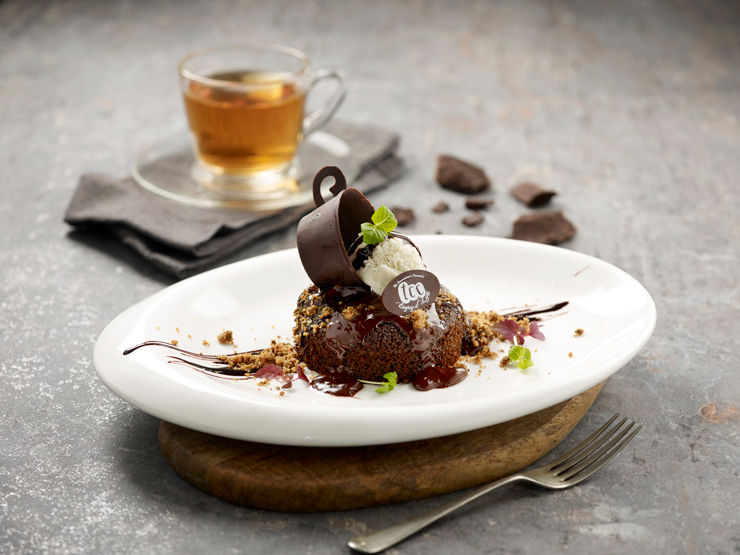 This enticing dish even includes a coffee cup made entirely of dark chocolate, ‘pouring’ coffee crumbles and dark chocolate sauce artistically over the cake. This chic coffee-addict masterpiece is the perfect way to end a date, or rather, spark the start of a new romance! The Connoisseur Concerto (tcc) is located at Anchorpoint. When cakes and pastries just won’t cut it, here’s something else to explore. A good bingsu is an adventure. 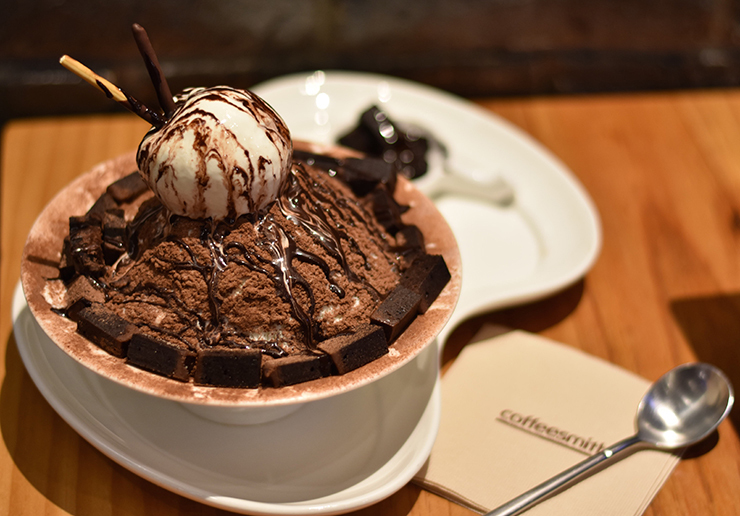 Make your way through an alluring mountain of feathery ice flakes and discover seriously addictive chocolate brownie chunks throughout your sweet journey. Like chocolate snow, enjoy generous amounts of cocoa powder and chocolate drizzle in every spoon. And when you reach the summit, be rewarded with a big scoop of vanilla ice cream, because every epic dessert must have ice cream! Coffeesmith is located at Northpoint City South Wing. Wow the kids and the young at heart! Here’s a magical experience that will put a smile on any little one’s sulky face. We guarantee it! 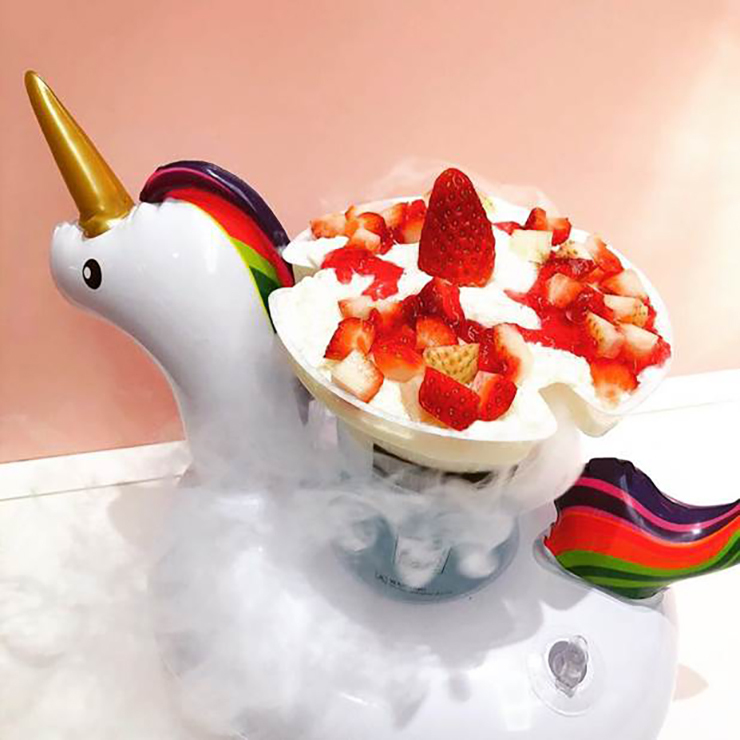 Take a trip down to UNICE, order a smoking strawberry bingsu and watch out for googly eyes and drooling mouths, especially when the gigantic bowl overflowing with ‘dragon’s breath’ smoke emerges. This treat comes with generous scoops of fresh strawberries on extremely fine ice shavings that melt instantly in your mouth, leaving only sweet, cool milky flavours behind. You’ll find yourself giggling away after the first few mouthfuls! UNICE is located at Northpoint City South Wing. So, we say skip boring ice cream day, because these epic, fusion and guilt¬-free desserts could just make everything great again.